As a rights based organisation, Human Rights Day is very close to our hearts. We believe that everyone has the same rights, but not all of us are able to exercise them. 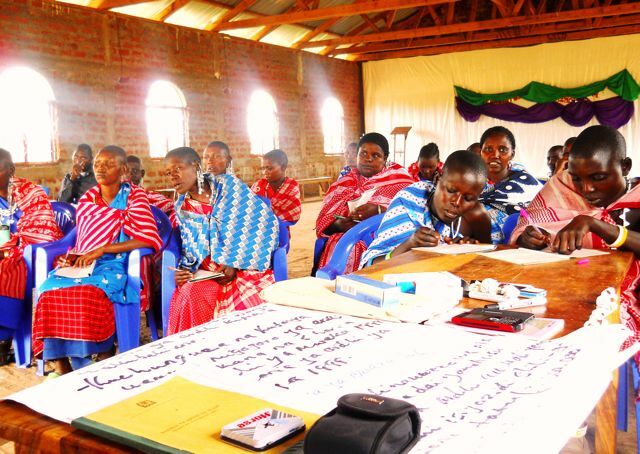 In partnership with African organisations we work with local communities on issues of women’s rights, land conflict, sustainable livelihoods and education. In the Ngorongoro District of Tanzania, the Ujaama Community Resource Team – or UCRT – work hard to resolve the issue of Land Rights for Pastoralist communities. I’ll be going out to visit them next March 2014, just after our annual International Womens Rights conference. African Initiatives is working in partnership with UCRT to support these communities to have better access to their land and be able to grow their own crops, promoting sustainable livelihoods and food security. The project looks to secure the rights of 63,000 pastoralists to areas of vital grazing land and water for their livestock. 33,000 women will have equal rights to land; and their families will finally have food security. It’s in direct response to the increasing number of, often violent, evictions of pastoralist families from land which is traditionally theirs. It emphasises the engagement, sensitisation and empowerments of women as agents for change. UCRT Womens Rights Workshop Ngorongoro District, Tanzania. I feel so privileged to be part of a project that is helping people for whom land access really is a matter of life and death. Access to land is absolutely imperative for pastoralist families and projects like this make such a huge difference, giving security to extremely isolated and marginalised communities. If you’d like to support our work you can make a gift by clicking here and also, be sure to put our annual International Women’s Rights Conference in your diaries for next March 1st. – David Baines, Overseas programmes co-ordinator.